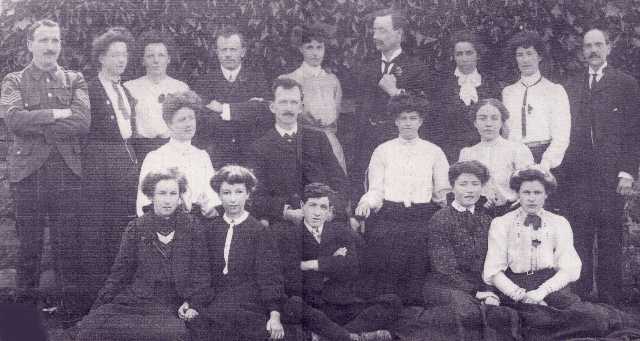 The Invergordon Archive - Invergordon Academy Staff, 1908. The five in the front row are pupil teachers. Front row: Miss E. Jack, Miss Marie Munro, Mr. David Ross, Miss Margaret Reid, Miss Johan Grigor.